50% OFF MSRP BLOWOUT SALE! 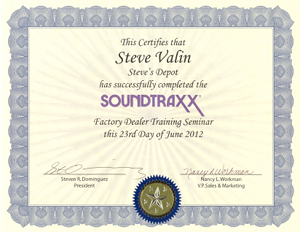 Steve's Depot is an authorized SoundTraxx dealer! Steve's Depot is a factory certified SoundTraxx & Blackstone Models dealer! 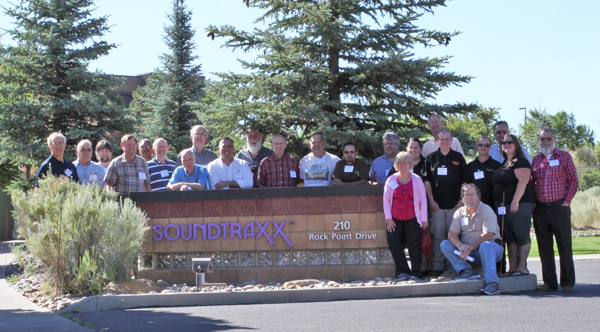 SoundTraxx 2012 Factory Training: Steve is the guy in the white shirt directly over the SoundTraxx name.